Everyone loves to laugh. Laughter is the joy and the spice of life. But over time, “laugh lines” can appear that detract from the youthful vigor of your appearance. You should have the confidence to know you can live your life fully, completely, and with all the happiness and vitality that goes along with a bold and musical laugh – but without having to suffer from laugh lines. 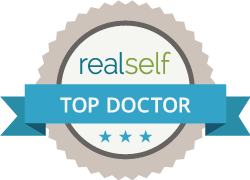 Now New Jersey residents can have this confidence with the Restylane Edgewater and Hoboken men and women have been talking about! Why should I get Restylane at Edgewater MedSpa? At Edgewater and Hoboken Cosmetic & Laser Centers, medical director Dr. T.G. Khan instills confidence in every patient due to his considerable training in both surgical and non-surgical cosmetic procedures. Having completed his fellowship training in Oculoplastic and Reconstructive surgery with Outstanding Merit, he is a bonafide expert in several of today’s most popular cosmetic injections and laser treatments. His additional training in aesthetic lasers for many more cosmetic procedures ensures that Dr. T.G. Khan’s expertise is as well-rounded as it is thorough. With the knowledge and ability to recommend the perfect procedure for your individual needs, Dr. T.G. Khan is the one aesthetics-conscious women in Edgewater and Hoboken turn to again and again. Call Edgewater and Hoboken Cosmetic & Laser Centers today at 201.313.8899 to set up an initial consultation. You’ll be happy you called.